The Department of Labour (DoL) presented a two-day Safety Indaba in Port Elizabeth on 21 September and, in talks, revealed that there may be some far-reaching changes in the electrical industry. DoL revealed it is “in discussions with all role-players” with a view to possibly re-introducing municipal electrical inspectors to assist with the policing of the electrical industry. In addition, a work group is preparing a two-page Certificate of Compliance for consideration by SABS in November 2017. Lucas Bowles, Regional Director of the East/South Cape region of the ECA(SA), says it was also confirmed that Annexure I (Certificate of Compliance) must be completed and attached to the M/V Safety Report under SANS 10142-2 and that to sign this M/V CoC, the registered person would have to be accredited by the Engineering Council of South Africa. Bowles says that proposals have been drafted for an amendment to SANS 10142-1 that would ensure that the user informs the supply authority should any form of alternative supply be connected to the main electricity network. Another important matter raised by the ECA(SA) is that as the electrical Certificate of Compliance is the intellectual property of the registered person, it may be withheld by the electrical contractor to secure payment from his client. 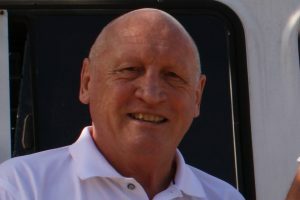 Mark Palmer – a well-known approved electrical inspection authority – predicted: “There will be an AIA in Port Elizabeth and East London by February 2018.” He added that an AIA presence in the Eastern Cape would come with “many benefits for users of electrical installations and electrical contractors”. Bowles pointed out that although contractors have been declared competent by DoL, it seemed that they were not trusted to validate their own CoCs. • A lack of policing in the electrical industry. • The lack of clear identity of AIAs. • Clarity regarding AIA procedures. • The powers of AIAs and co-operation with ECA(SA). • Confusion about the registration period – is it one year, three years or both? Bowles said current problem areas included questions about enforcement and why unregistered persons are not prosecuted as well as the withdrawal of electrical contractors’ registration certificates by DoL. “AIA procedures to validate CoCs need to be amended and agreed to with all stakeholders being involved in the process – and the procedures should be published to ensure clarity,” says Bowles. 1) Provide easy access to information on DoL’s database for the benefit of the public. 3) Improve data capturing functions with accurate and up-to-date database. 4) Reduce turn-around times and fast-track applications for contractors’ registration. 5) Improve the quality of data capture. 6) Flag multiple registered persons on database. 7) Involve the DoL offices in Port Elizabeth in enforcement issues. 8) That DoL replies to enquiries made via email and letters. He says Pieter Laubscher, Deputy Director at DoL, had acknowledged that some of the problem areas needed attention and had assured delegates at the Indaba that DoL would consider the ECA(SA)’s proposals.